Panasonic scanners and imaging software deliver high performance and reliability across the board. Determining what type of business scanners today’s market demands, Panasonic developed a new and expanded product line that works hand-in-hand with today’s business tools. 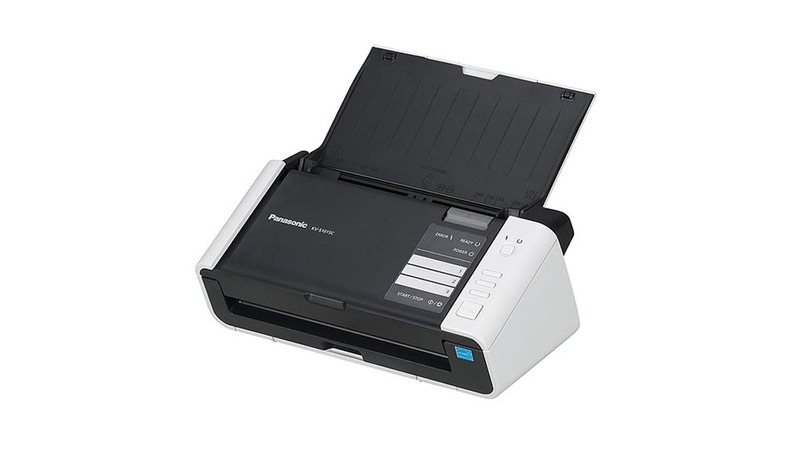 Scanners sold at affordable prices with excellent warranties and duty cycles. Scan embossed cards, documents and a card, at once. Saves two-sided documents into a single-page file. Allows various booklets (e.g., passports, bank books, etc.) to be scanned. Allows even unusually long documents to be scanned. Detects and automatically corrects the direction of scanned documents. Optimizes scanning without having to set any complicated scanning conditions. Adjusts scanned images without the need for rescanning. Detects problematic images and informs the user of four types of problems. Memorizes canceled double-feed detection as a scan setting. Detects stapled documents and immediately stops the scanner. Detects small documents mixed among regular-sized documents. Physically adjusts skewed documents fed into the scanner. Allows documents with a variety of sizes and thicknesses to be scanned. Allows a flatbed scanner to be mounted as an option. Scans multiple documents in one path, producing separate images instantly.